Plastisol UK last week staged a two day event at the Millbrook testing centre in Bedfordshire to give potential customers and stakeholders the opportunity to see and learn more about its composite products and alternative drive systems. Operations Director, Ben Jardine and Sales Director, Peter Anderson gave a presentation detailing what the company does after which there was the chance to inspect the vehicles and travel on them on the site’s extensive and varied road network. 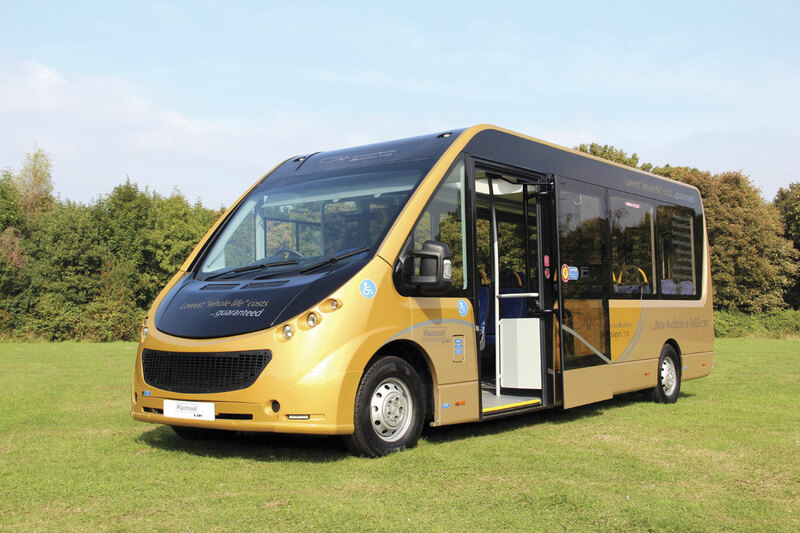 I attended the first of the two days, keen to learn about the company’s future direction following the discontinuation of the relationship with Optare, which had last year announced it was offering the Plastisol produced 7.46m long low floor bus under the Bonito name. Though Optare no longer sells the Bonito, the Fiat Scudato/Ducato based minibus itself remains very much alive under the CM Mission name, the CM standing for Composite Mobility, the new brand for Plastisol’s passenger carrying products. Describing the business, Peter said that ‘Plastisol UK is a specialist automotive engineering company, providing bespoke design and manufacture of specialist vehicles, systems and support to a diverse range of public and private sector markets.’ Plastisol UK is one of three international divisions of the parent company, Plastisol Holdings BV, the others being in the Netherlands and the USA. The business is privately owned by CEO, Rob Walraven. The UK currently accounts for 5% of Plastisol’s global market with Europe accounting for 35% and the rest of the world 60%. There are four distinct brands including the new Composite Mobility. The Plastisol name is used for the systems supply of composite bodies and cabs; Kronenburg, a long standing operation acquired five years ago is used for airport crash tenders and complete emergency service vehicles; and EMOSS is the brand covering hybrid and electric drive systems. In the UK, passenger transport accounts for around 30% of the company’s business, with Security 10%, emergency services 40% and specialist vehicle engineering 20%. In addition to the Mission low floor bus, vehicles displayed at Millbrook included a complete aircraft fire tender, a DAF LF based Kronenburg fire appliance, a four year old Iveco Daily based prisoner transfer vehicle (that apart from some etching on the windows appeared to have stood up well, though I wouldn’t fancy travelling in it), an EMOSS electric powered truck chassis and an incident command vehicle based on the Mission platform. As we explained at the time of its launch last March, the Mission/Bonito is a chassis-less fully low floor bus design with a structure made entirely of glass reinforced plastic (GRP) married to the front end units and driveline of the Fiat Professional Scudato/Ducato. 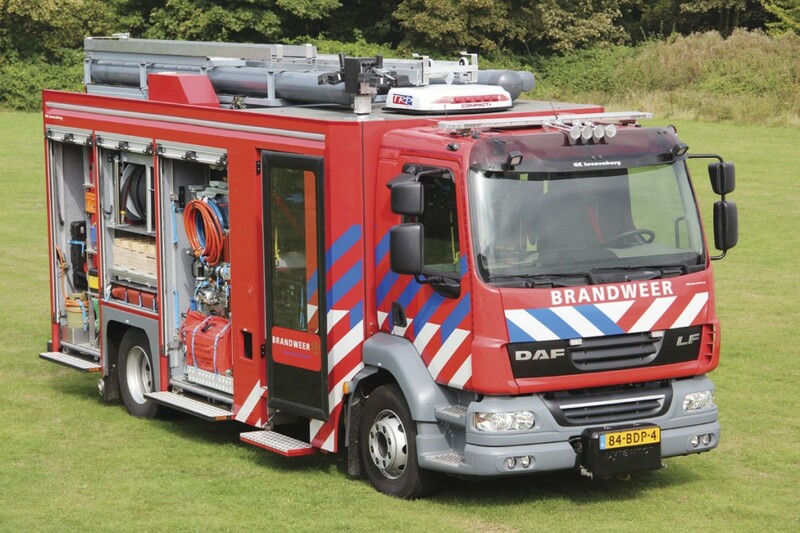 Built at the Plastisol plant at Wanroij in The Netherlands, it is 7.5m long, 2.2m wide and 2.69m high with a 5.0m wheelbase. Advantages claimed for the bus as a result of Plastisol’s vacuum injected GRP composite construction techniques include an overall weight up to 30% lighter than conventional rivals; the total avoidance of corrosion; and a potential lifespan that could be 40 years. Not only is the body strong, maintenance free and able to withstand impacts particularly well, they also say that it is easy to repair, by cutting out the damaged area and bonding in a new section, a process that does not reduce the structural integrity of the vehicle in any way. The vehicle comes with a three year bumper to bumper warranty and a lifetime structural body warranty. I understand that it is quite possible to remove the body monocoque when a set of running units is worn out and remount it on a new base. This offers second life opportunities and in cases such as Plastisol Bodied Fire Appliances, this can ultimately provide a saving of one new vehicle purchased in every five. As demonstrated, the Mission had 16 Rescroft seats, most of them CT-Lite units, mounted on Unwin tracking, with an additional tracking rail running the length of each side above the side windows. Within the floor, there were six rails on the offside and four on the nearside. Double rear doors or a solid rear can be fitted. 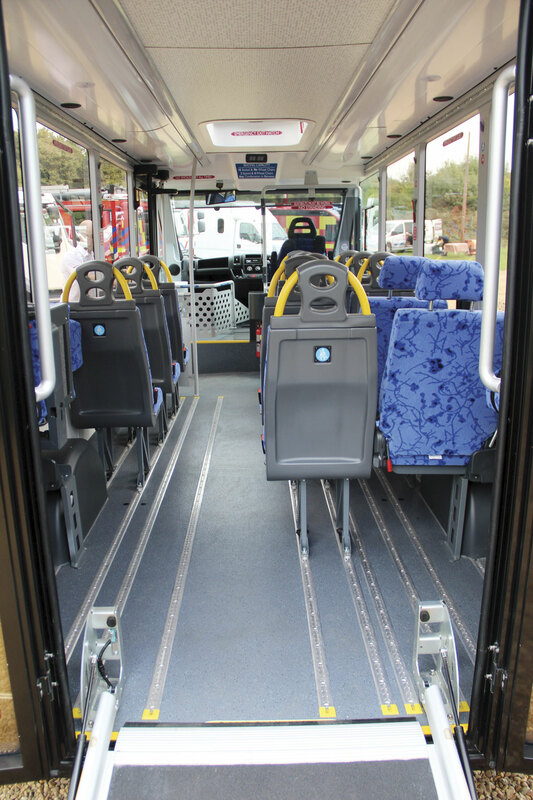 Instead of 16 seats, it can accommodate up to six wheelchairs and two seated passengers. A number of improvements have been introduced since the original vehicle, notably an uprating of the front and rear suspension. Also significant is the use of Ventura rather than Tamware doors, although it was unclear whether the Tamware remains an option. As well as the single piece door, a two leaf Ventura door is also being made available. The Mission first appeared in bus form as a diesel but it is also now available with an electric driveline. In the diesel Mission 3.0D, the engine was originally the Fiat Power Train 3.0-litre turbo diesel engine developing power of 157hp (116kW) and peak torque of 400Nm, though the brochure talks of a Euro5 3.0-litre delivering 177hp (130kW) at 3,500rpm. A six-speed manual transmission is standard, with the option of a six-speed semi-automatic. Top speed is electronically limited to 100kmh (62.5mph). The electric employs Plastisol’s own EMOSS system following the acquisition of EMOSS in 2012. It has a permanent magnet electric motor that delivers 158kW and torque of 385Nm. A truck featuring EMOSS technology was displayed. A similar system is employed on the bus, though with less batteries. Ben Jardine explained that there are various options available from EMOSS, starting with a 48kW system that is based on 16Amp/240 volt charging, a process that takes four hours. Suitable for applications up to 3.5 tonnes, such as a Ford Transit or London Taxi, it adds 100kg to the weight of a vehicle and can drive the front or rear wheels. The system used for the Mission 150E is a 52kW package that utilises EMOSS’s own design of lithium batteries. Charging can be either 32Amp/240 volt or 64Amp/ 3 Phase with a four hour charging time at the higher charging rate. 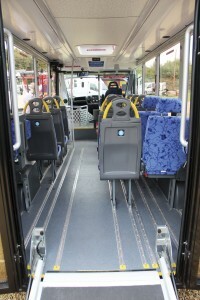 The system adds 300kg to the weight of the bus, limiting its capacity to 15 seats (including driver). 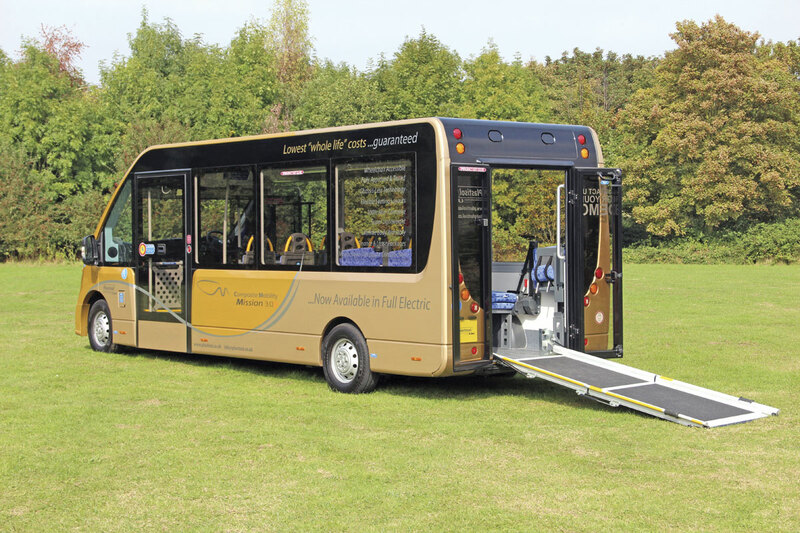 For local authority applications where there is the opportunity to charge the bus during a lunchtime, the battery capacity could be reduced. Based on a 50% load, a range of around 150km over all terrain is anticipated. Various battery pack sizes are available. Transmission is by means of the single drive ‘E-Gear’ system. The third electric system, intended for truck applications but possibly adaptable for bus use, would give a range of up to 300km based on a 19 tonne GVW and 50% load. Using a three-phase 64Amp recharging system it would replenish in six hours. A 240kW package would add a hefty 2,000kg to the vehicle weight. For PCV use, the batteries would dictate coach or high floor bus applications. Electric options are very limited at present in the 16 -22 seat sector of the market, as Optare’s Solo EV and Wright’s electric Streetlite do not really come in until you move up the scale. I understand that virtually the only option at present is the rear wheel drive hybrid Ford Transit, and John Pay of O&H said that they had done some medium wheelbase examples. The weight penalty of over 70kg incurs the loss of one person from the capacity. Ben Jardine told me he anticipated that the first right hand drive electric demonstrator for the UK will be in the country before the end of the year. 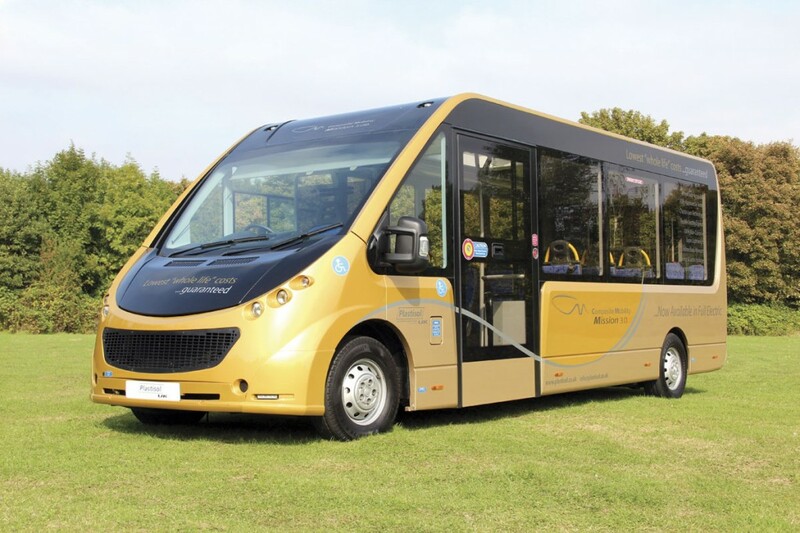 Built to the latest specification, this will help potential buyers gain an idea of it capabilities, although a left hand drive model built for a customer is expected to begin a demonstration tour over here in the coming weeks, with a number of local authority operations keen to try it. Sadly it was not possible to have it at the Millbrook event. The electric version does not currently offer the same degree of flexibility that the diesel does, but the extra cost may be considered acceptable for some applications. It would appear to tick all of the boxes for university campuses and limited mileage city centre operations. The Bonito might not have achieved any sales in the UK to date, but in Europe and the wider world market the Mission is finding buyers. An order for 15 has been taken from Norway, there are eight diesels running at Dubai Airport, examples have been supplied in Switzerland and a number of other orders have been taken. Most of the European orders are for the electric version. There is a lot of interest from Australia where a sizeable potential order is in the offing. Patico, which also handles Optare products, currently operates the blue demonstration Bonito that was widely demonstrated in the UK and appeared at one of the Birmingham shows demonstrating the concept. An interesting development is for the Canadian market where a customer is taking a V6-petrol engine example with greatly uprated braking featuring very large ventilated discs. I understand that the base vehicle is a CKD kit assembled in Mexico, and though the first bus is being completed in the Netherlands, future examples would be assembled by a local bodybuilder. Notably, I understand that negotiations are very advanced for the purchase of two electric Mission 150Es by a UK customer. Pricing for the 150E begins at Euros180,000/£150,000 approximately double the £75,000 starting price of the diesel Mission 3.0D. In the UK, Plastisol UK will be selling direct but will also be happy to supply rolling shells or partly finished vehicles to coachbuilders who want to complete and offer them themselves. I understand that an unfortunate legacy of the discontinued Optare tie up, hindering diesel sales, is that because sales were originally going to be handled by Optare, Plastisol UK does not appear on many local authority tender frameworks, and it may be some time before this can be rectified. This should not impact on sales of the electric version as procurement of these would normally fall outside the normal tender frameworks. Despite the shortcomings mentioned, the appeal of the product with full low floor, wide side entrance, optional neat twin rear doors with a fold out Acdeos ramp and large side windows was obvious. The body itself was very tight, though some of the ancillary parts rattled considerably. A customer could specify how the interior was finished, with many no doubt preferring to add some moquette or other soft trim. There were issues with the Tamware door, which is susceptible to the variations in voltage that inevitably occur on a demonstration vehicle that might be working hard with an operator one week and then parked up the following week. 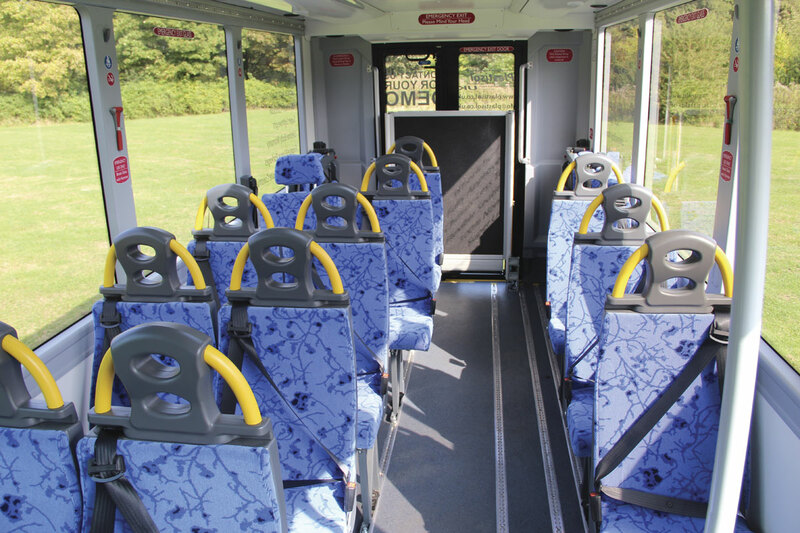 As well as the bus versions, which can have either opening rear doors or a solid rear with one piece upper window, Plastisol has identified a range of other possibilities for the Mission. Demonstrated at the event was a Mission built as a fully equipped incident command centre vehicle with everything on board to enable the coordination of the emergency services’ efforts at a major blaze or rescue. Other possibilities are police vehicles, ambulances, custodial transport vehicles and package vans, while one under discussion and likely to become available is as a mobile caravan. To date, all Missions sold have been two axles but a three-axle derivative is on the cards, though none have yet been built and the company would prefer to fully establish the two axle model before doing so. 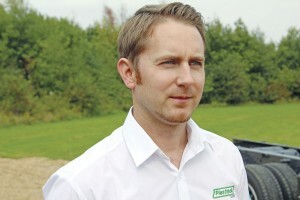 To an extent, building a three axle version would be a contradiction as one of the original aims of Plastisol UK was to get away from three axle designs. Nevertheless, there is thought to be potential for a longer vehicle, probably seating around 26 passengers, that would be more suited for town duties. In June, Plastisol UK moved from its previous premises in Chorley to a slightly smaller but far more modern and customer friendly site at Leyland on the same site as Leyland Trucks. The relocation partially reflects the changing nature of the Plastisol UK operation which is becoming far more sales oriented than it once was, though it does still undertake a good deal of engineering work centred on chassis conversions and specialist engineering. 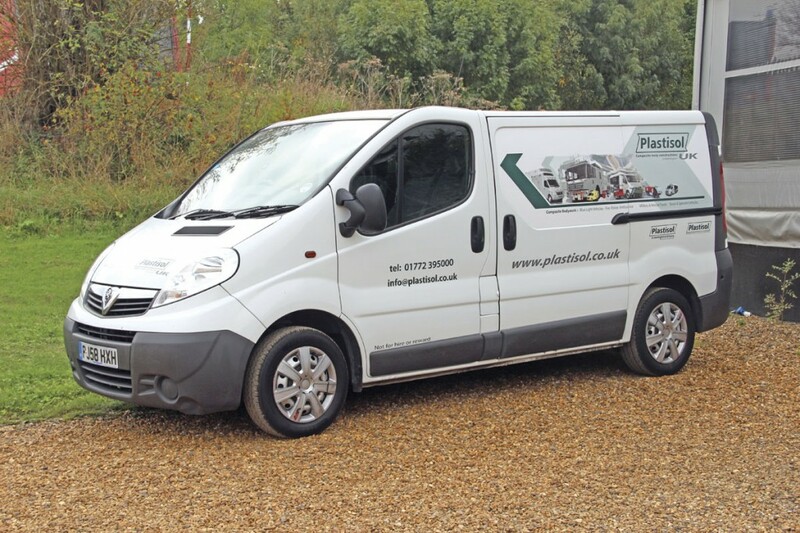 Providing support for vehicles in the field are two fully equipped service vans, in addition to which the team on the shop floor will go out to assist a customer if necessary. Parts are shipped on a daily basis. 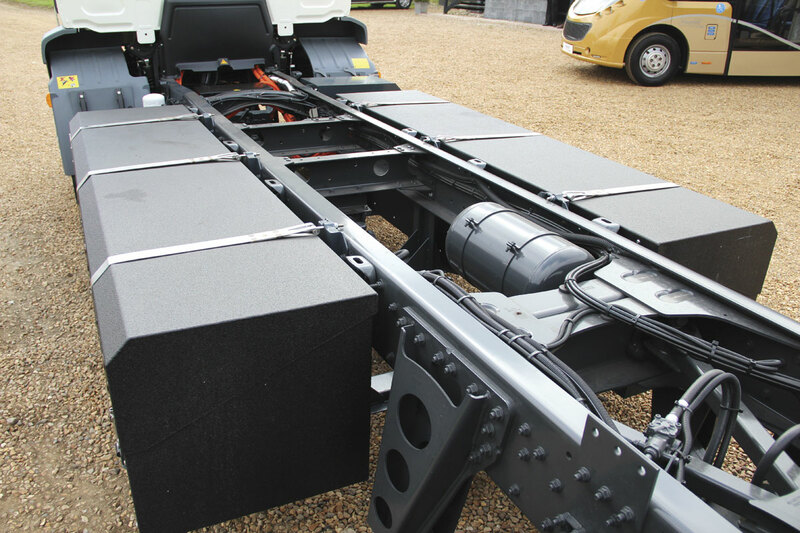 Not present at the event, but a product of interest to readers in that they are mounted on Volvo coach chassis running units, are fully composite bodied Mobile X-Ray units for L3 Communications which can scan complete trucks using equipment on a roof mounted telescopic beam. The first four examples were based on the B13R Euro5 chassis and with the advent of Euro6 a switch has been made to the B11R. The front and rear modules bolt into place beneath Plastisol’s one piece composite body. An advantage of the manufacturing technique is that the body can be built and the chassis supplied subsequently and fitted into place. 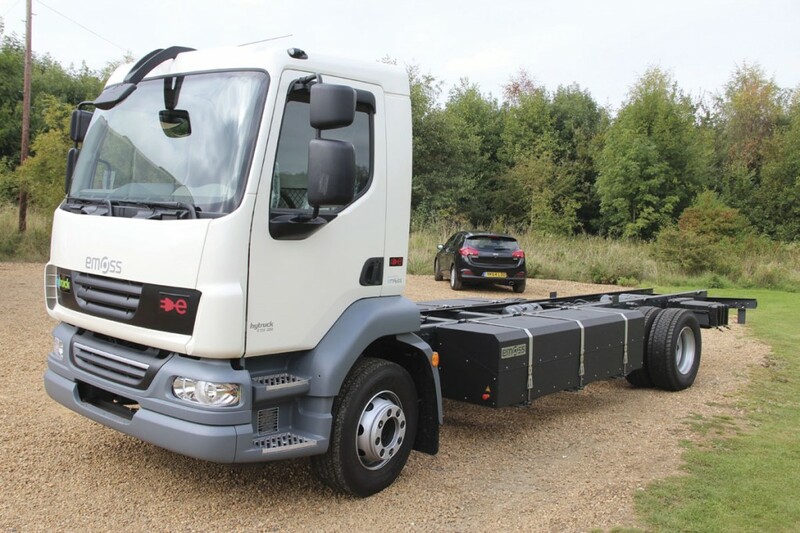 One benefit of the B11R is that in addition to Euro6 it can be offered a with a Euro3 engine option, with no EGR or SCR, which enables it to be sold in a number of markets that do not have Euro6 legislation or fuel quality. A number of B13Rs have been supplied to Oman and one B13R and seven B11Rs are in the process of being supplied to Libya. If you thought coaches were expensive, these sell for over $2m (£1.22m). I liked what was then the Bonito when I first saw it and I continue to believe that, as the Mission, the features it offers are essentially what the market is looking for. Price always was an issue in this sector and it has become an even greater factor with public sector spending so constrained. Ironically, it may be that the fully electric version of the Mission, despite costing twice the price, is the model that is first to catch on. Convincing electric minibus options are thin on the ground and this looks the part.